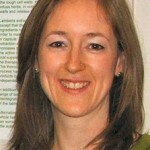 Anita Watson has been an osteopath for 22 years and an Iyengar yoga teacher for 14 years. 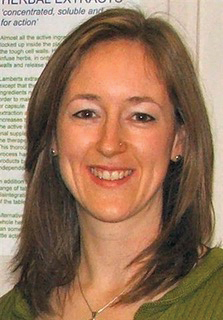 She combines her osteopathic and her yoga knowledge to assess people’s posture and musculoskeletal function. As well as hands on treatment involving massage and manipulation, Anita recommends yoga based exercises for patients to work on their particular difficulties. With chronic pain and chronic health issues, it is the management of the condition that is important. Anita works with patients to inspire, educate and motivate them to take on regular specific exercise regimes to improve posture, strength, flexibility and joint function. For example, safe and effective stretches may be shown to increase flexibility in muscles such as the hamstrings, gluts and quadriceps, or, twists and stretches can be shown for specific spinal mobilisation. Exercises can be given to build core stability or specific programs can be given for stiff or injured shoulders, or arthritic hips, sciatic pain and neck and shoulder tension. Osteopathic treatment in conjunction with remedial yoga programs is very effective for most difficulties with the musculoskeletal system. However, there are many other body systems that can also benefit from both osteopathic treatment and remedial yoga. The nervous system, the circulatory and respiratory system, the endocrine and digestive systems can also all be improved. There are many resting, or recuperative poses that can be given to help with stress, tension, anxiety, depression and fatigue, as well as poses that help with digestive and circulatory problems. The key is assessing an individuals health from a holistic perspective, looking at all possible contributory factors to their symptoms and showing the exercises to patients that their body most needs. Anita also has a particular interest in nutrition and will often incorporate some advice in this area too, in the form of supplement recommendations where necessary, advice for weight loss and dealing with food sensitivities/intolerance. Anita works at our Clinic on Thursdays and teaches general group yoga sessions at the Thame Barns Centre on Tuesdays (11:30-1) and Thursdays (7:30-9pm). For any further information, Anita can be contacted on 07970 537733 or here at the Clinic on 01844 215555.